Why commit to one kind of cookie, when you can enjoy ALL of the cookies. It’s called research, people. 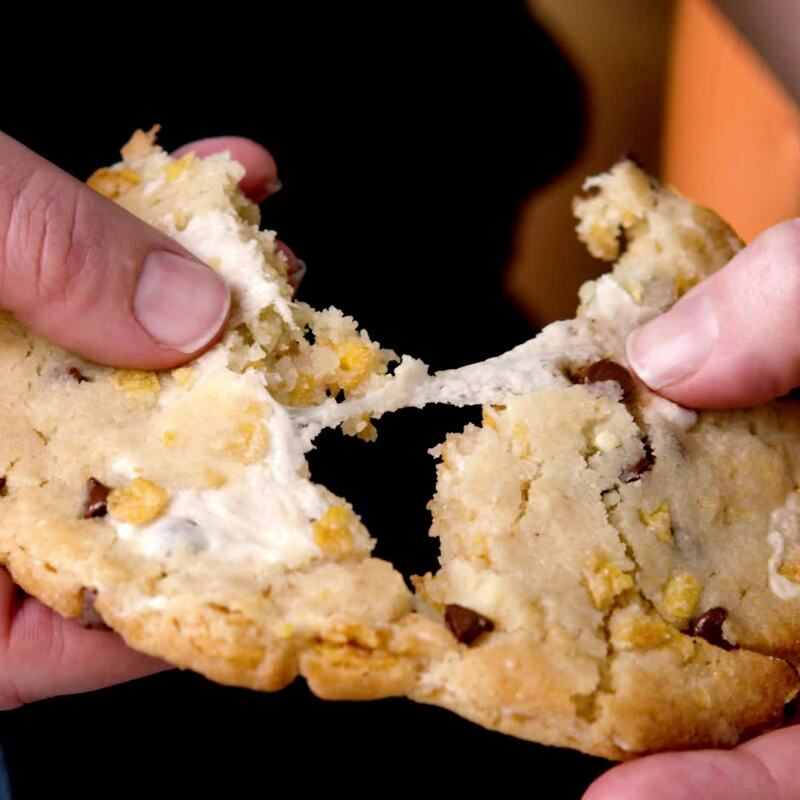 From sweet and salty, to fruity, corny, chewy, crispy, fudgy, chocolatey, vanilla-y, the lucky recipient of this cookie cornucopia can cover all of their Milk Bar flavor bases. When they report back on their faves, they’re likely hinting they want you to send more. So kindly return the favor. Contains 1 Compost Cookie®, 1 Cornflake-Marshmallow-Chocolate-Chip Cookie, 1 Corn Cookie, 1 Blueberry & Cream Cookie, 1 Chocolate-Chocolate Cookie, and 1 Confetti Cookie in each tin. Cookies come in gift tins of 6 individually wrapped cookies.